For those that are unfamiliar with the term, casting lots was a general method used to determine the will of God by the Jews and by Christians prior to Pentecost. The act of casting lots was used to describe a number of methods, but generally referred to the throwing of dice or engraved sticks as an effort to seek an answer from God regarding an important topic or event. The casting of lots was ordained by God under the Old Covenant, and was practiced by the high priests using special devices called Urim and Thummim. Though no physical description of them is given in the Bible, they are generally thought to be a pair of engraved stones. 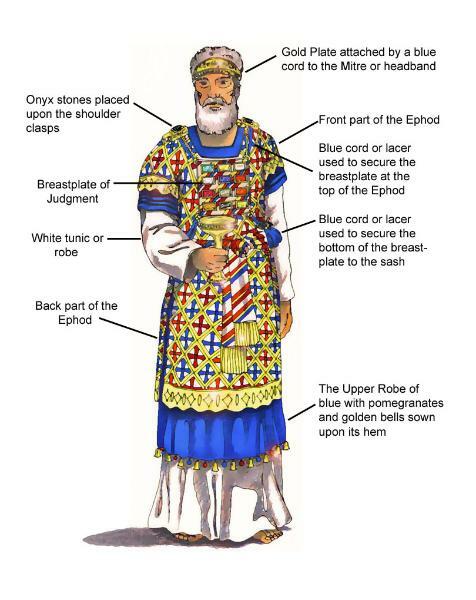 The Urim and the Thummim were kept within the cloth breastplate of a high priest’s ephod, an ornate ceremonial robe. Though there is no distinct instruction of their use, the book of 1 Samuel 14:41 gives us some insight as to how they were used. It should also be noted that this practice was generally to be done for significant measures and God was not obligated to always communicate through them. Anna Diehl of the Christian Post explained it this way: Flip two coins with two different sides: heads and tails. There are three possible outcomes: two heads, two tails, or one head and one tail. We don’t know exactly what the Urim and Thummim looked like, but if they were at all like our two-sided coins today, then it would be quite easy for Yahweh to convey answers of “yes”, “no”, or “silence” through them. ‘It was 5:30 a.m. and Francis Schaeffer had an agonizing decision to make. Before his father walked out the front door to go to work, he wanted to hear what his 19-year-old son was going to do. Francis was a year out of high school and struggling to know God’s will. He had put his trust in Christ as savior the year before, and that decision had turned his life upside down. his parents wanted him to stay home and become a mechanical engineer – something Francis had wanted to do as well – but now his heart was pulling him in another direction. So, could I cast lots to seek guidance in a decision? Totally. Would it be a bit nonspiritual? Not if I’ve acknowledged the Lord, taken council from His principles in the Word, used common logic, and taken advice from my peers. It should be a last resort and more importantly: should only be done when choosing between good options. Flipping a coin for any arbitrary decision is a foolish way to avoid making one’s own decisions based on their sensibilities. When it is imperative that a decision be made, but you’ve used all your resources and there is no clear answer, simply make a choice. You were given the freedom to do so. But if you are paralyzed by indecision, go ahead; pray to God and flip a coin – if God can be glorified by either decision.